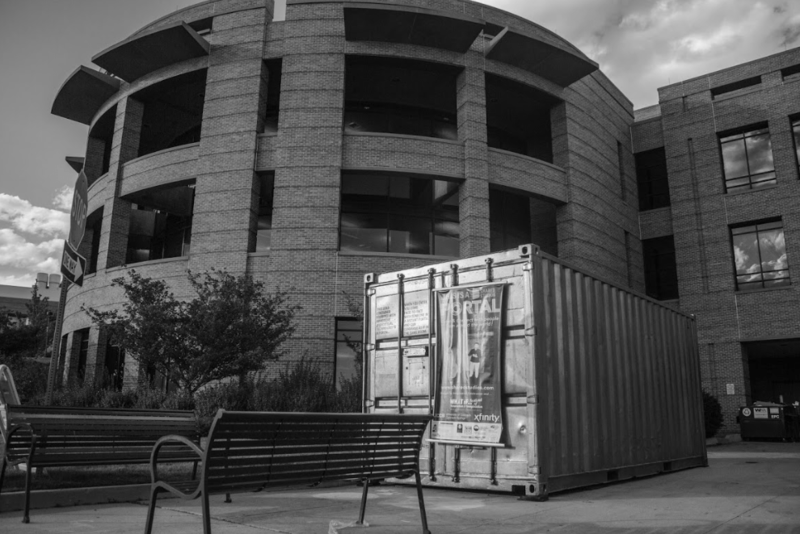 The Daniels Fund Ethics Initiative and Imagination Celebration are working together with UCCS to bring the Global Portal back for another round after last year’s awe-inspiring turnout of over 600 participants. The Global Portal is a program that permits anyone to contact and talk with people from all over the world, including places like Germany, Iraq and Kenya. The conversations are hosted inside shipping containers enclosing floor-to-ceiling screens, cameras, and microphones for face-to-face, full-body discussions. The Global Portal is relatively selective in its locations of broadcasting. UCCS was chosen this September-October season for our innovative use of the program in 2017—the Daniels Fund Ethics Initiative was impressed with how we utilized the portal and chose us as a site for this year as well. For this session, it will be located adjacent to the Kraemer Family Library. The issues don’t have to be controversial or even suspect and can range from art collaborations with Mexico to live music lessons with Germany. Individuals aren’t the only ones who can partake in the Portal: entire classes can book a time to discuss topics of their choice. For example, one UCCS class connected with Erbil, Iraq on health and culture; another spoke with Mexico City, Mexico about Responsible Business. Although it is recommended to schedule a time, it’s not required. “Sometimes you can just walk by and it will be open, and you can just go in and see what conversations are going on,” says Gonzalez-Padron . “The idea of the portal is that it encourages having conversations with people in different countries or cities … and exchange ideas [to] increase our world perspective,” she says. The Global Portal leaves the UCCS campus on Oct. 15 for another place, so it’s important to schedule as soon as possible to experience this international wonder.